The Trinity Strand Trail has paved the way for new commercial and residential real estate development in the Downtown Dallas Trinity Riverfront neighborhood. Local businesses are expecting new retail, restaurants, and residential contruction around the 7.8 mile hike and bike trail on the Trinity River Channel. 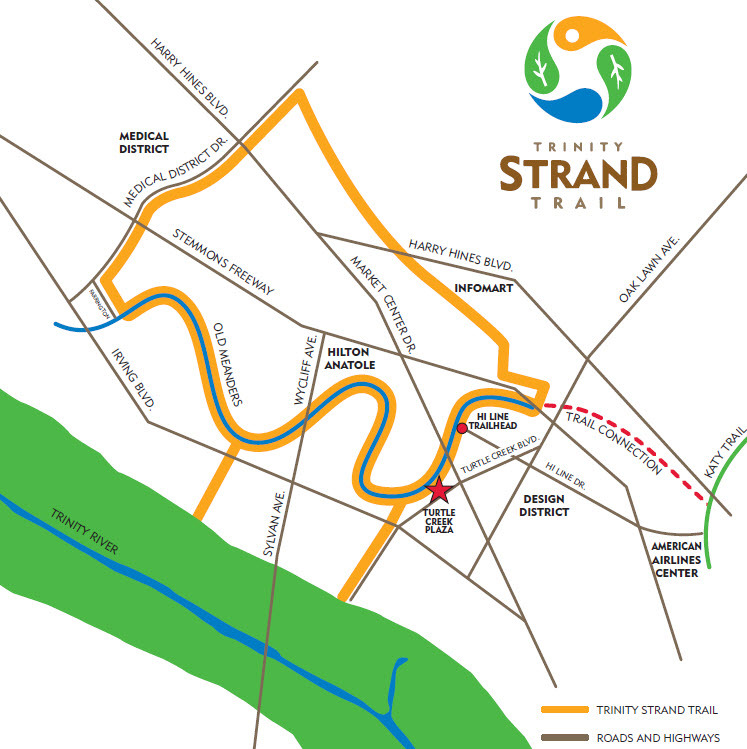 The Trinity Strand will run near the Dallas Design District and Turtle Creek Plaza connecting to Katy Trail by Oak Lawn Avenue allowing access to Southwestern Medical District, Dallas Market Center, Infomart, Stemmons Corridor businesses. The Turtle Creek Plaza trail head along Turtle Creek Boulevard has already been completed with another 2 mile section planned for completion in about a year. If you would like information on Trinity River real estate in Downtown Dallas, please contact DFW Urban Realty. Our agents specialize in urban homes, townhomes, condos, and loft style residences along the Trinity River in Dallas. Check out new homes in Dallas along the Trinity River Corridor such as Trinity River Townhomes with Downtown Dallas Rooftop and Riverfront views.